Repair or replacement of consumer control units or circuit breakers. Electrical work carried out by unlicensed electrical workers may pose safety risks and cause damage to property or injury to person. The class of LEWs to engage will depend on the scale of the electrical installation. 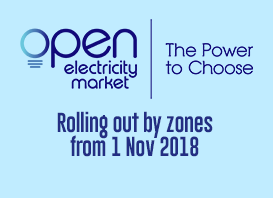 For example, electrical work in a HDB flat will require the services of an electrician, while larger electrical installations like a food court will require the services of an electrical technician or even an electrical engineer. A list of all LEWs can be found here. 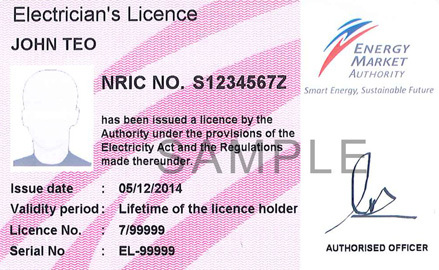 All LEWs are issued with a card. 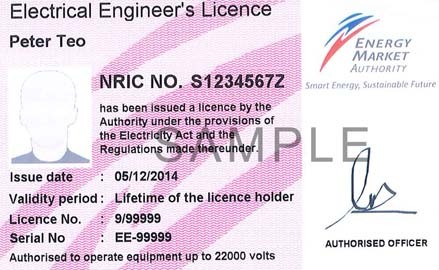 This card includes the licensed worker’s photograph and it shows his name, identity card number and licence number. 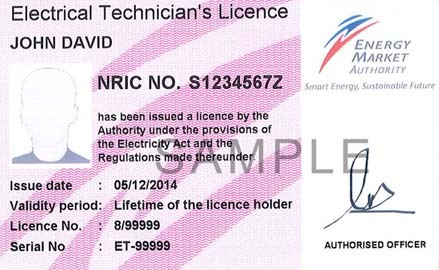 Do verify the LEW’s card before commencing electrical work at your home or office.